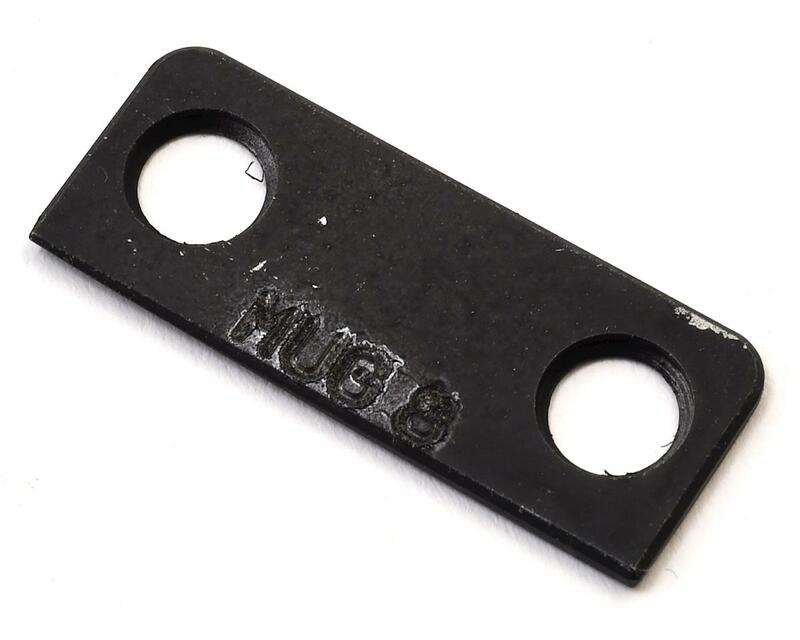 This optional M2C MBX8 Front Skid Plate is made from black oxide steel to assure very long wear life and to prevent rust. This plate will greatly increase the life of the chassis and will bring you back to the original thickness of the stock settings. It is advised that you replace the skid plates when they have been worn down to about 1mm thick. NOTE: If you shoe goo these plates in place when new, it will keep them in place when you have to remove the diff case for maintenance. It is important to note that these skid plates fit flush to the bottom of the chassis and will not effect the droop settings and cause you to scrub speed on the landings. 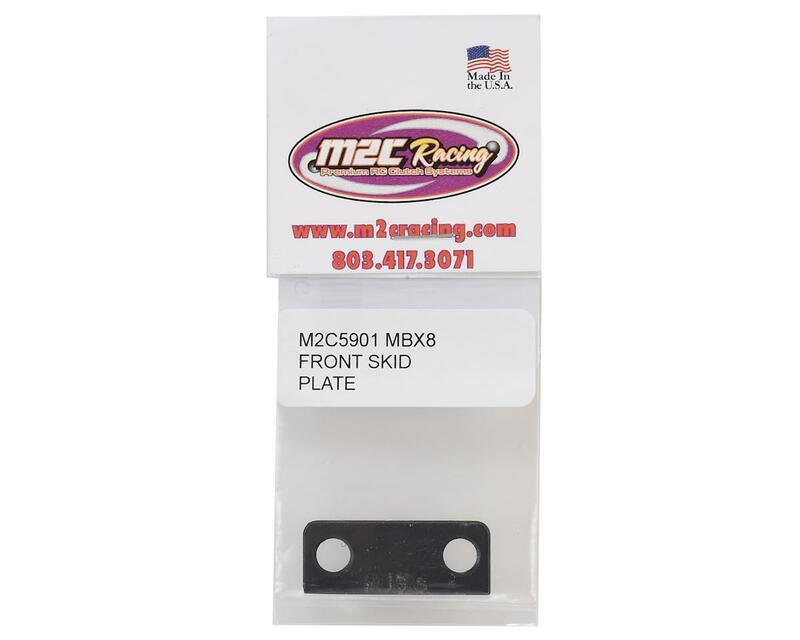 THIS SKID PLATE ONLY FITS THE MBX8 - NOT COMPATIBLE WITH MBX7, 7R, etc.